Business InsiderApple’s Eddy Cue sold as Apple stock reached its all-time high. 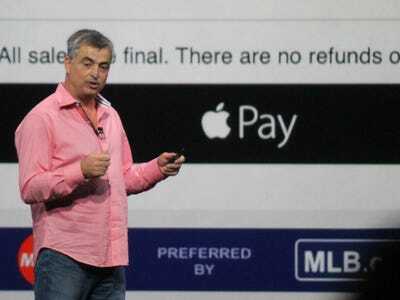 Eddy Cue, Apple’s senior vice president in charge of software and services (iTunes, iCloud, Apple Pay, etc. ), sold nearly $US28 million worth of stock last week, according to a filing from the company. Apple’s stock hit its all-time high last week and closed $US108 on Friday. The stock was up slightly in early hours trading Monday. Cue sold 259,437 shares at $US106.78 per share and 2,498 shares at 107.31 per share on Thursday, according to the filing.